What is the minimum age eligibility for applying in Senior Citizens’ Run race category? Is there any upper age limit for the Senior Citizens' Run? Participation in the event is subject to entry confirmation. Where your entry is not confirmed for any reason, the entry fees paid by you will be refunded on or before 19th November 2018. An amount of Rs. 150 will be deducted as processing charges. You will be required to provide your bank details on a link provided by the Event's Registration team. Any refund discrepancies must be brought to the attention of the Event’s Registration Team immediately. Refund queries will not be entertained post 29th November 2018. 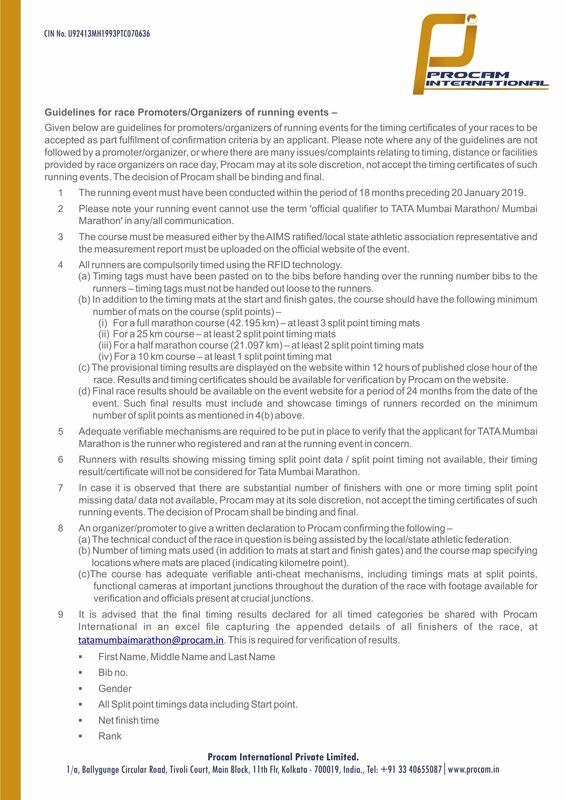 Is there finisher medal available to all Sr. Citizens’ Run participants of ADHM 2018? No. Finisher medal is not given.